You’ve probably heard or read how ‘the US 2016 election was divisive’. How we are a ‘divided society’ like never before. I thought these are just talking points, and life goes on. But when I saw these divides happening in some online communities I am part of, and more importantly, when I heard similar rifts happening between people in my local guild, I knew I wanted to do something. That’s how the idea of this community project came about. Quilts have historically brought people together. Quilt historian Laurel Horton said, “We Americans have adopted quilts as a symbol of what we value about ourselves and our national history.” Quilts are also a record of our times – a lack of quilts in the 1950 and 1960 speaks as much about our society as an abundance of quilts in recent times. With this project I want to record our current time, our thoughts or more importantly feelings and voices that are rising as a reaction to what is going on in our communities. I would like to invite everyone in the makers community, and I would like us to work on quilts together. Anyone and everyone, regardless of your political or social views. Any color or country of origin. Women and men. Young and old. Traditional, modern, art quilters and all in between. Weavers and embroiderers. Anyone who is open to sharing their views. Anyone who is willing listen to other points of view. Anyone here in US. Anyone, anywhere in the world. REFLECT: make a crossroads block (or two), or embroider something, or send a piece of handwoven cloth. These will be made into quilt tops. 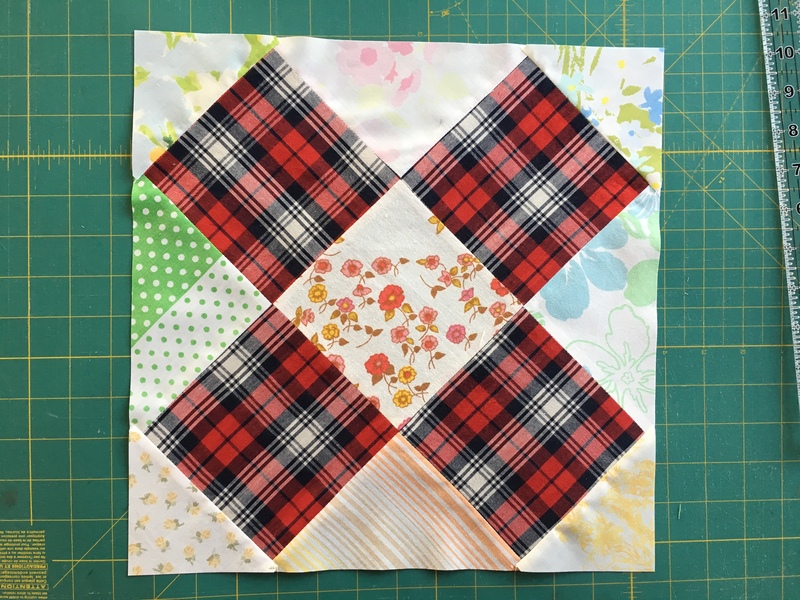 For the quilters, I chose the crossroads block because it symbolizes a change that needs to happen to heal the chasm that seems to be widening between us. We have that power, the power to bring about change, by making each and every one of our voices heard. The crossroad block also signifies the fact that we all come from different points of view… can we find a middle ground? As you are working on your blocks, reflect, think about how the current situation is affecting you, think about what you want to say. LISTEN: This is the most important part of this project. All messages will be included. And when the quilts are finished, I would like them to be displayed where we can silently view them and read all the messages. Silently. No judgements. REFLECT: The purpose of this project is not to start conversations or debates. At least not at first. That’s why I don’t want to share the messages before the quilts are done. The purpose of this project is to simply listen to what other’s have said whether you agree with it or not. Let’s listen and respect each others opinions and not try to change them. And then think about what we have learned. My name is Zrinka and I am a recent transplant to Colorado from California. I am an American citizen and an immigrant from Croatia. I have been quilting for over 10 years, weaving for about two. I like found fabrics but I also have an embarrassing stash of new fabrics I am working through. If you look me up after you read this, you will learn that I do not support the new US president and people he surrounds himself with. I believe that what they are doing right now is anti-American and will eventually hurt each and every one of us. I have the right to speak up though, but so do you. Your first reaction might be – “I can’t do this because I don’t agree with her views”. But that’s exactly why you need to participate, why I hope you will participate. We need to hear all voices and I want to hear yours. Otherwise this is not going to work. I hope you will join me on this journey. Let’s listen to each other and quilt for unity.